Riding two trends—declining sales and growing inventory— the U.S. housing market continued to transition from a seller’s market to a buyer’s market in February, according to the RE/MAX National Housing Report. Home sales in the 54-market report have declined year-over-year for seven consecutive months, though, February’s downturn of 4.2% was the smallest since the 1.1% drop that started the streak in August 2018. At the same time, inventory grew 5.8% over February of 2018, marking the fifth consecutive month of growth following a decade-long trend of shrinking inventory. The Months Supply of Inventory also grew in February from 3.1 in 2018 to 3.4 this year. The number of homes for sale in February 2019 was down 1.4% from January 2019 and up 5.8% from February 2018. Based on the rate of home sales in February 2019, the Months Supply of Inventory decreased to 3.4 from 3.9 in January 2019 and increased compared to 3.1 in February 2018. A six months supply indicates a market balanced equally between buyers and sellers. In February 2019, five of the 54 metro areas surveyed reported a months supply at or over six months, including Miami, FL at 7.6 and Indianapolis, IN at 7.4, which is typically considered a buyer’s market. The markets with the lowest Months Supply of Inventory were Denver, CO at 1.4 and San Francisco, CA at 1.6. For more info, please click here to download your copy of the RE/MAX National Housing Report for February 2019. If you are looking to sell your Arizona home or are ready to buy a Phoenix home, please contact The Voss Team today. Not from Arizona originally? Missing the great tastes of your hometown food? There’s a great chance that if you are from another state, your favorite food is most likely already here in Arizona. If it’s not, it is surely on its way. Arizona has been listed as one of the top places for migration across the US. So whether you’re from the West Coast or the East Coast or somewhere in the middle, chances are you will find a taste of home here. Chicago has a large number of its restaurants here but before we dive into that, let’s take a look at places from across the US. From New York, we feature Times Square an Italian restaurant, Lorenzo’s Pizza and Pasta and Chompies. 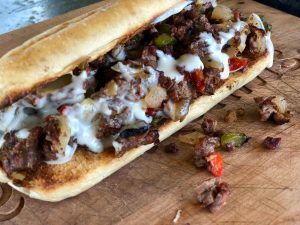 Craving a hoagie or Philly cheesesteak? Then we’ve got you covered at Corleone’s in Phoenix or Scottsdale. For you Marylanders, Ernie’s Karaoke and Sports Bar serves up some authentic Maryland crab. Die-hard Steelers fan? You can find a club with your name on it and Iron City Beer at Harold’s Corral in Cave Creek. Let’s not forget about Michigan and California. You can find those fares at Detroit Coney Grill, Cornish Pasty and Ono Hawaiian BBQ and can find several locations across the valley. If you’re from the Buffalo, New York area, there is no doubt that you may be missing a dog right about now. To fix that craving, simply check out Ted’s Hot Dogs in Tempe. You won’t be disappointed. They offer cheese sauce and all the fixings your heart desires! Last but not least, we have a wide selection of restaurants serving up great eats from Chicago scattered all across the valley of the sun. Fixing for a classic deep dish? Then you’ll want to stop by Oregano’s, Guido’s and Chicago Hamburger Company with several locations in Mesa, Scottsdale, and Phoenix. Craving other great Chicagoan fares? You can get your hands on some great pizza, beef, burgers, and dogs at Lou Malnati’s, Portillo’s and Giordano’s all without having to hop on a plane. It’s safe to say you can find fare from just about anywhere across the US in Arizona and more restaurants are popping up each day! Don’t Miss these Top 3 Home Tax Deductions! Getting ready to file your taxes this tax season? Whether you’re a first-time homeowner or a seasoned veteran, don’t miss these top 3 home tax deductions. 1.) Property Taxes: Because a large part of your monthly loan payment is contributed to property taxes, you’re allowed an annual deduction if you’re a taxpaying homeowner. The deduction amount is the amount you’ve paid and includes any payments made through an escrow account. Check out the IRS site for all the property tax guidelines. 2.) Mortgage Interest: The biggest tax break you have as a homeowner is your mortgage interest. A home mortgage interest deduction allows you to reduce your taxable income by the amount of interest paid on the loan which is secured by your principal residence. This deduction can also apply if you refinanced or own multiple properties. Visit the irs.gov to learn more. 3.) Energy Efficiency Repairs: If you made green energy saving improvements, you could see more green in your tax refund. 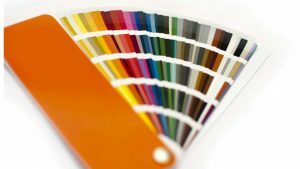 Eco-friendly home improvements can allow you to qualify for an energy credit of ten percent. These enhancements can include adding more efficient windows, energy saving heaters, adding Energy Star appliances, and more. There are also extra credits for solar panels. You can find a complete list of green home enrichments and the tax credit criteria here. Tax deductions and credits are just some of the many benefits of being a homeowner. I recommend that you consult a professional tax planner before you file this year. If you’re interested in buying a home in Phoenix or selling your Phoenix home, please contact me today! 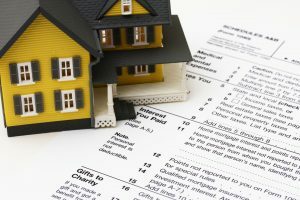 Author Roberta VossPosted on March 9, 2019 Tags Arizona, Don’t Miss these Top 3 Home Tax Deductions, homeowners, Homeownership, RE/MAX Professionals, real estate, Roberta Voss, tax deductions, tax write offs, taxes, The Voss TeamLeave a comment on Don’t Miss these Top 3 Home Tax Deductions! Has the wintertime got you feeling blue about the look of your home? Check out these 5 easy home upgrades for under $100 to give your home a fresh look! 5.) Dress Up Your Furniture: Buying a whole new sofa set will run you well over a $100.00. But you can always give your old couches new life by pulling a slipcover over it. These days, it’s easy to find an inexpensive and fashionable slipcover. You might even have enough change left over to buy some fun new accent pillows. Want more home update ideas? 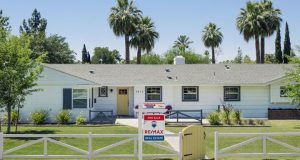 Looking to sell or buy a home in the Phoenix area? Contact us today! The Voss Team has in-depth knowledge of the market and can provide you with the information you need on purchasing, selling, investing, financing and owning real estate in the Valley of the Sun!